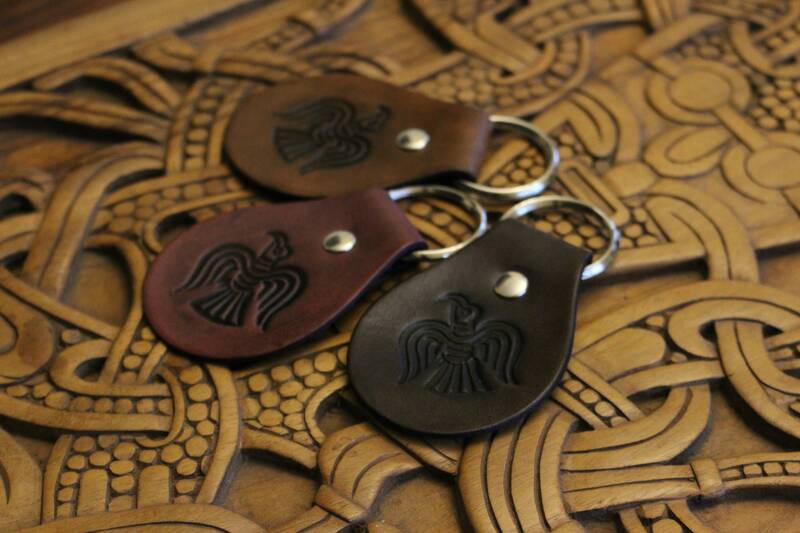 Norse Raven is a powerful symbol used by norse Chieftains in the 9th-11th centuries on flags. 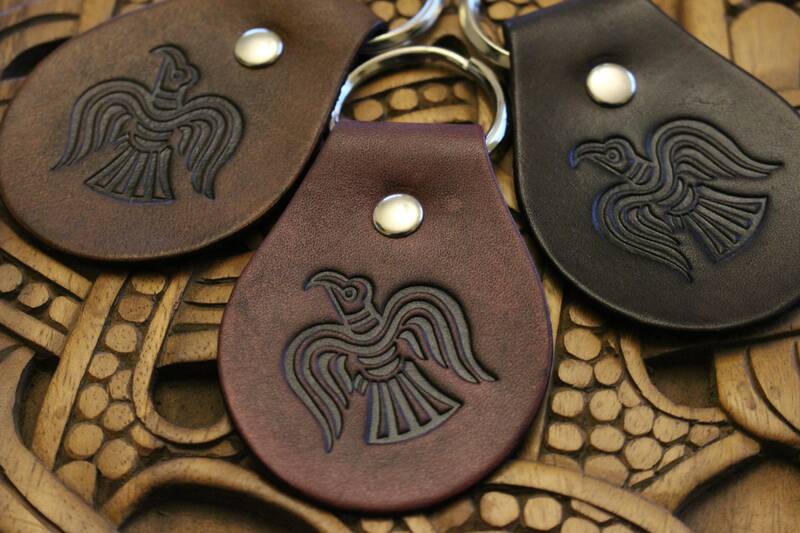 Featured prominently within Norse artwork and sagas, ravens were often connected with the warrior because they were known as devourers, and fed on the dead. 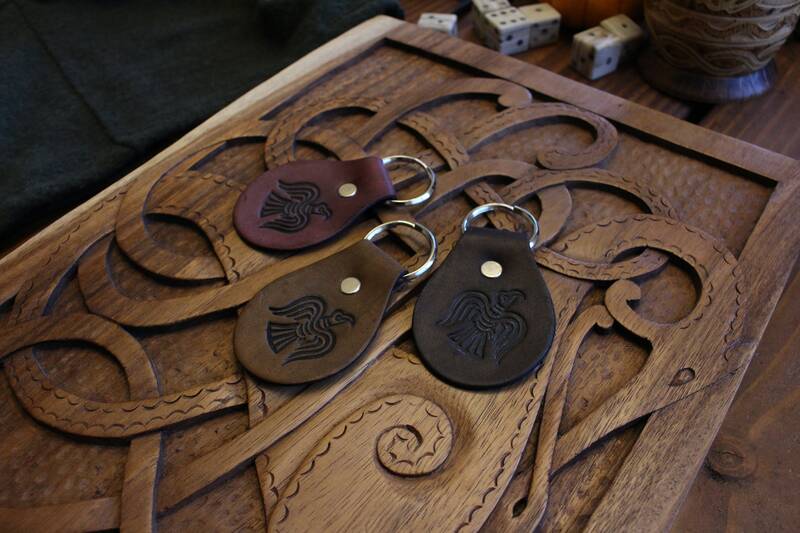 This may also be why they are an animal of Odin, the god affiliated with war and battle himself. 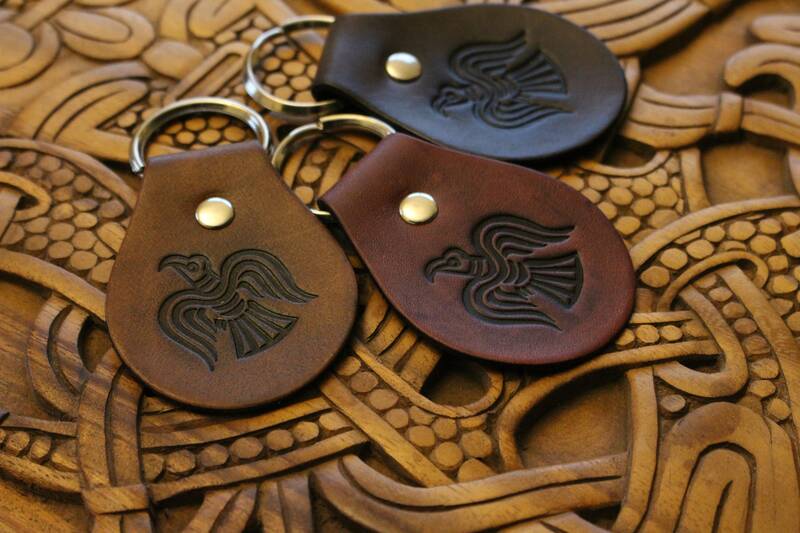 Odin’s particular set of ravens hold quite a bit of fame. Huginn and Muninn, whose names in Old Norse literally translate to “thought” and “memory,” fly throughout the entire world each day. 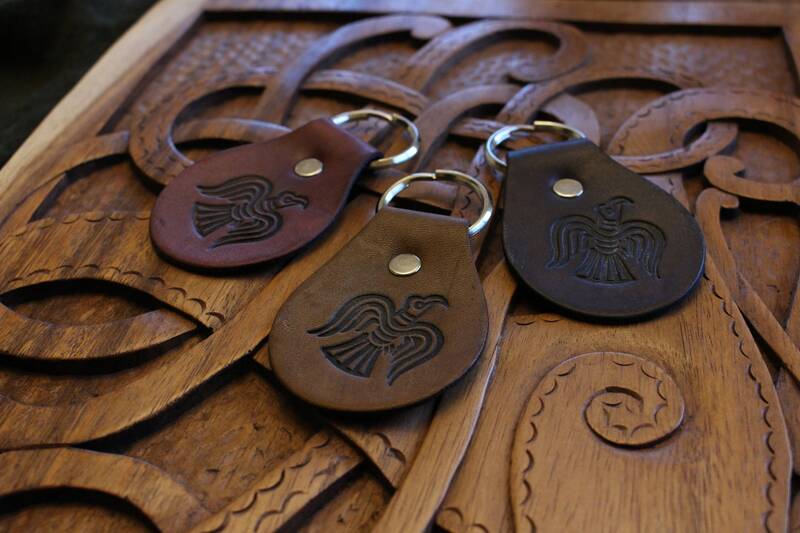 This is how they report worldly happenings to Odin; they act as his eyes and ears and can speak to him. 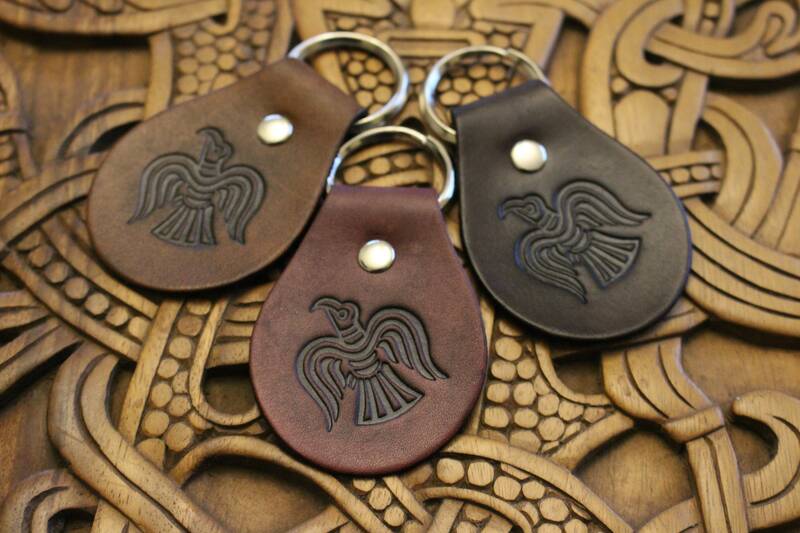 In Grímnismál of the Poetic Edda, Odin admits his fear of one day losing his ravens. For a god so inspired by wisdom, thought and memory are necessary to his endeavours. The Vikings apparently agreed with his adoration for the birds, because many children were given names affiliated with ravens. 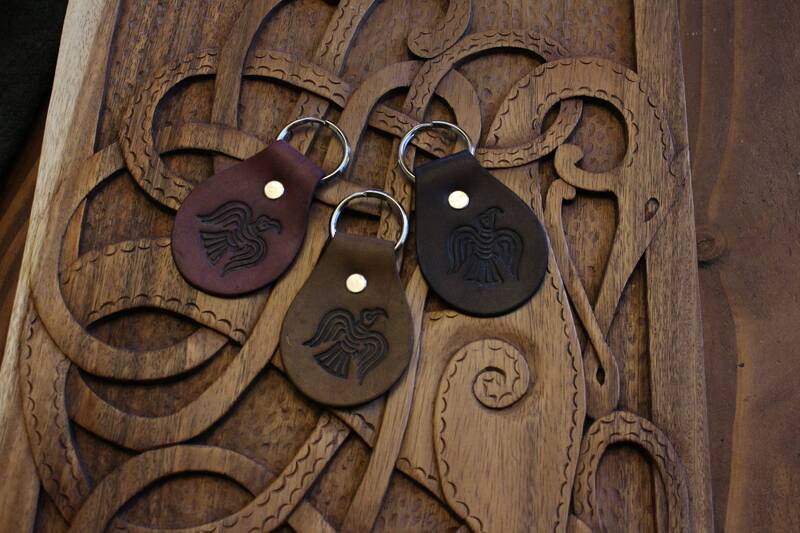 We offer this keychain in your choice of three colors (antique) Black, Brown or Mahogany.